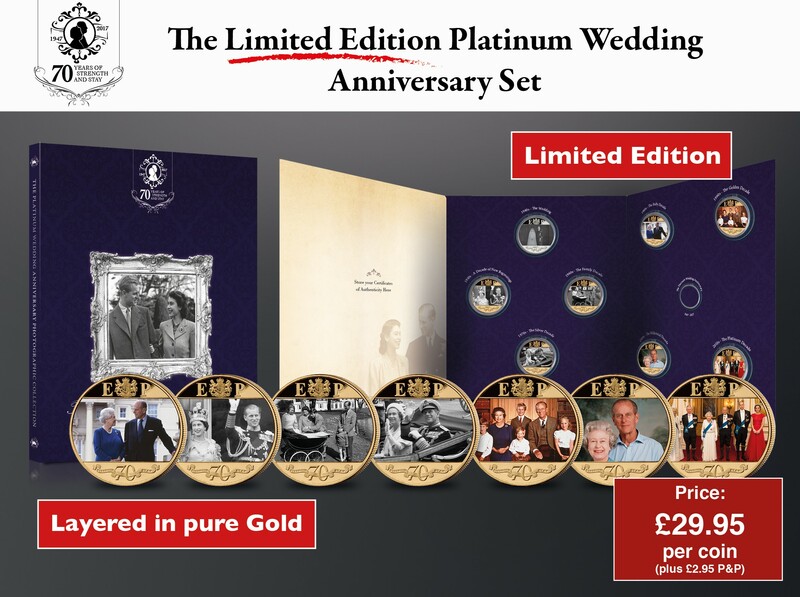 You are now guaranteed access to the remaining coins in the limited edition ‘Royal Platinum Wedding Anniversary Photographic Coin’ set. When you order your ‘Royal Platinum Wedding Anniversary Photographic Coin’ Set, you will automatically receive the remaining coins on a monthly basis, without any risk or obligation. The remaining coins, each layered in pure 24-carat Gold and struck to the highest Proof quality. They will be sent to you at convenient monthly intervals for just £29.95 each (plus £2.95 P&P). You can stop receiving the coins at any time.